Comments Off on SSi Performance December Sales Event Starts Now! 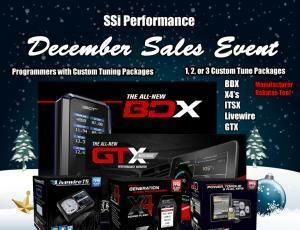 SSi December Sales Event Starts Now! Now you cant get the best performance tuning for less this month. Click on the link here https://southernspeedinc.com/ssi-december-sales-event/ or the image below for the sales items. Programmers with custom Tuning or 1,2, and 3, custom tune packages.